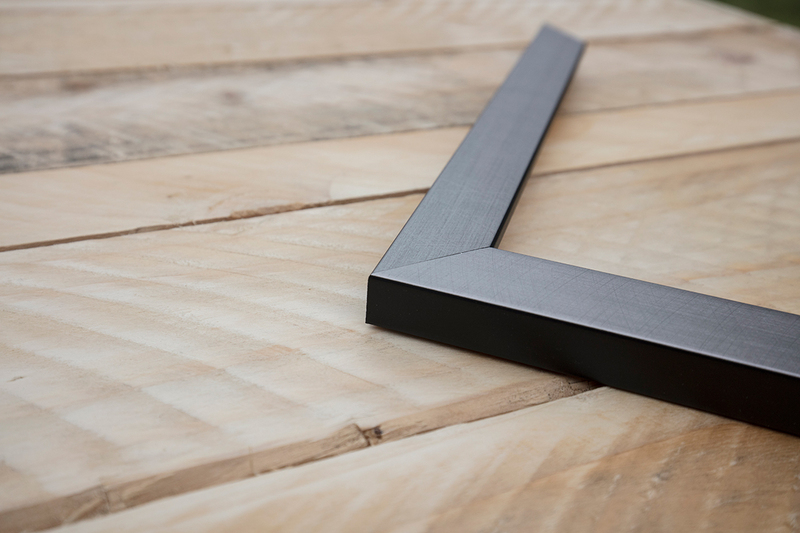 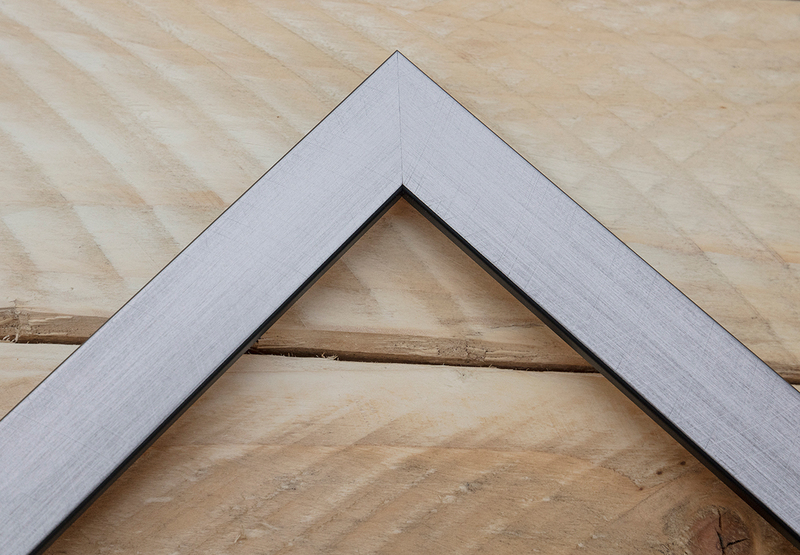 A modern Pewter/Silver finish with black edge on the back side of the moulding. The 23mm size works well for images up to and including A2, for anything over A2 a thicker moulding is recommended. We offer same moulding in 36mm size and can also get the same moulding in 53mm size upon request.